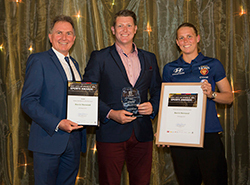 Thank you to everyone involved in the 2018 City of Ipswich Sports Awards. The quality of nominations was outstanding, congratulations to all the finalists and winners. This award is presented to a team that either represents Ipswich (e.g. state championships-level competition); plays in an Ipswich-based competition; or plays on behalf of Ipswich (e.g. Ipswich-based club team in non-Ipswich competition). Nominees can be either junior or senior teams. Teams will be judged on the quality of their sporting performance over either the course of a particular competition season or at a stand-alone event (e.g. state championships). Nominees should present a positive image of their sport. This award is presented to a senior Ipswich sportsperson who has achieved great results in the past 12 months. Nominees must have been 18 years or older at the time of the competition in order to qualify for this category. Nominees should present a positive image of their sport. 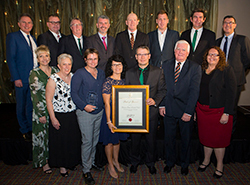 This award is presented to an Ipswich-based, incorporated, not-for-profit sports club. 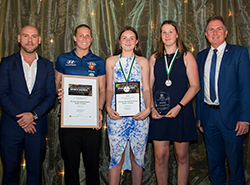 Nominations will be based on assessment of the on-field performance of the club/organisation members; the club/organisation's engagement in and contributions to the Ipswich sports community; the club/organisation’s promotion of healthy initiatives, including alcohol management plans, healthy canteens, sun smart policies, smoke-free environments and injury prevention and management plans; and the level of planning conducted by the club/organisation. Nominated clubs/organisations should present a positive image of their sport. 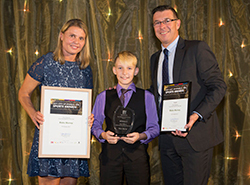 This award is presented to a junior Ipswich sportsperson who is 17 years or younger at the time of the competition and has achieved great results in the past 12 months. Nominees should present a positive image of their sport. This award is presented to an Ipswich sportsperson who is 35 years or older at the time of the competition and has excelled in their chosen sport/s. Nominees should present a positive image of their sport. This award is presented to eithe a coach of an Ipswich-based athlete/s or team/s; or An Ipswich-based coach of any athlete/s or team/s. This person can have performed their coaching role in either a voluntary or paid capacity. 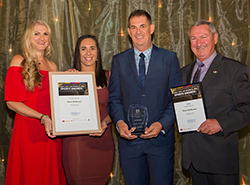 Nominees will have made significant contribution to the success of the athlete/s or team/s they coach; and/or be able to demonstrate a significant contribution to increasing the overall standard of coaching in a particular sport (either locally or at state, national or international level). 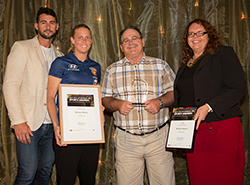 Nominees should present a positive image of coaching and their sport. This award is presented to an official (e.g. referee/umpire/score bench) who has either officiated for an Ipswich-based competition; is an Ipswich resident officiating in other competitions that may be outside of the Ipswich region. The person can have performed their role in either a voluntary or paid capacity. Nominees will have attained a level of excellence in officiating and demonstrated an outstanding commitment to the sport/s in which they are involved. The level and significance of achievements will be considered, as will significant contribution to increasing the overall standard of officiating in a particular sport (either locally or at state, national or international level). Nominees should present a positive image of officiating and their sport. 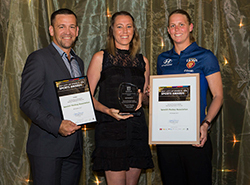 This award is presented to an individual who has provided an outstanding voluntary contribution to the Ipswich sports community in the past 12 months. The voluntary contribution can be related to a single club or association; multiple clubs or associations or the Ipswich sports community as a whole. Nominees must NOT have received payment for the duties they have performed (reimbursement of directly incurred expenses is acceptable). The nominee should present a positive image of volunteering and the sport/s in which they are involved. 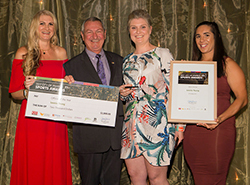 If you are looking for a way to give back to your community, the Ipswich Sports Awards provide an exciting and innovative opportunity for your business to be involved with a local initiative. Ipswich has a rich sporting history and your involvement with this event will assist in building your reputation as a supporter of Ipswich’s residents. You may find this a unique way to achieve the competitive advantage that is so difficult to achieve through traditional advertising. For more information on how you can be involved and work towards achieving your own business objectives, please contact the Partnerships Officer on (07) 3810 6666. 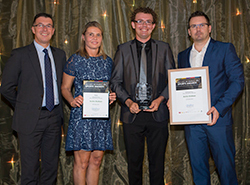 The annual Ipswich Sports Awards support, recognise and reward sportspersons for excellent performance in and commitment to sport. Winners received prizes up to the value of $2,000 at the annual awards ceremony.